1. Can you study in Finland for free? If you are a citizen of a country in the European Union (EU), the European Economic Area (EEA) countries, or Switzerland, you can study in Finland for free - you do not have to pay any tuition fees. If you are not from the EU, EEA, or Switzerland, you count as an international student. Most international students have to pay fees, but there are some exceptions - more on that below. 2. Who has to pay tuition fees to study in Finland? Tuition fees at universities in Finland only apply to international students, i.e. students that come from a country outside the EU, EEA, or Switzerland. The tuition fees apply to full-time students in Bachelor or Master programmes; but Doctorate programmes (PhDs) are usually tuition-free. However, not all international students actually have to pay tuition charges. Exchange students from other countries do not pay tuition in Finland (although they might still have to pay in their country of origin). 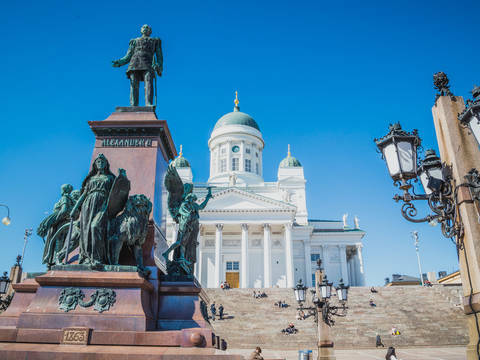 There are also some exceptions for those that are already in Finland under certain conditions; if you already have a permanent or a fixed-term residence permit, or an EU Blue Card, you are likely exempt from fees. Also, anyone choosing to study in Finnish or Swedish, as opposed to a degree taught in English, is exempt from tuition charges. The official Finnish government website has more detailed information on what applies to your situation at Studyinfo.fi. If you do have to pay for the tuition, you might still be eligible for a scholarship. More details follow below. 3. How much does it cost to study in Finland? When you budget your costs for your stay abroad, keep in mind that those amounts cover the tuition only - they do not yet include a room or anything beyond on-campus services. 4. Are there scholarships for international students? Yes, there are a range of funding opportunities for students that want to study abroad in Finland. The most direct ways are university scholarships. 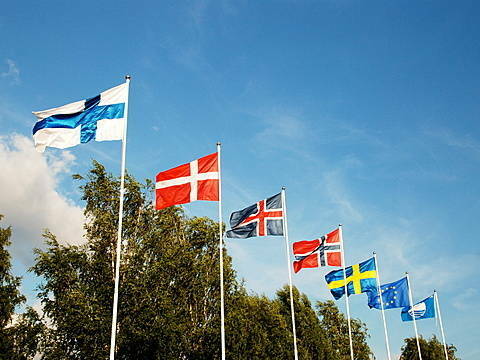 Each university in Finland offers a range of scholarships for international students. These are largely based on academic merits, and there is often a certain quota for each degree programme. Some scholarships grant a complete fee waiver, others may reward you with a percentage deduction on the tuition charges, e.g. 50%. When you begin your application to universities in Finland, make sure to read about each school’s scholarship options, and make sure you apply for that in time, as well. Also, check out our guide about scholarships in Europe. 5. When do you have to pay the tuition fee as a student in Finland? When you get your acceptance letter for your study programme, you usually also get the invoice for the first year’s tuition fee enclosed with it. If you also got accepted for a scholarship by the university, the amount that the scholarship covers will be deducted automatically. Depending on the scholarship, it might be the whole amount, or the fee waiver might be a fraction like 50%. The payment terms are slightly different for each university. In most cases, you are expected to pay the full annual tuition fee within two weeks or a month; and until you have paid, your admission will be conditional. Some universities also offer to split the tuition fee into instalments so that you won’t have to pay such a high amount at once. It is really important that you pay your tuition fees in time. You cannot apply for a residence permit with a conditional admission, so you will need to pay before you can apply for the residence permit to obtain your student visa. 6. What are the monthly cost of living in Finland? Finland is not a cheap country, but you can get by even on a limited student budget. How much money you spend per month depends on your lifestyle and spending habits (of course) and also on the place where you study. Helsinki, the capital city, will be a bit more expensive than smaller towns like Oulu. The University of Helsinki suggests to budget for 700 to 1,000 euros per month, including rent. Getting a place in a dormitory or student residence hall is the real money-saver; renting a room privately, or a whole flat, can become really expensive, especially in Helsinki. 7. What are the best universities in Finland? Finnish universities have a great reputation abroad, and they usually do very well in international university rankings. The best-ranked Finnish institution is the University of Helsinki, one of the top 20 universities in Europe. Other good research-driven universities, and also within the top 300 worldwide, are Aalto University (in Helsinki) and the University of Turku. There are also many good universities of applied sciences (a.k.a. polytechnics) that are often overlooked in rankings because of their less research- and more practice-oriented approach. 8. What are the application deadlines? If you want to start studying in autumn, i.e. September, you must apply via the official portal in January the same year. The exact date varies slightly from year to year. If you want to start a degree in January, the application period is in September the year before your start. Learn more about studying in Finland!